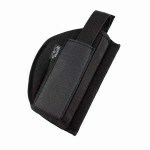 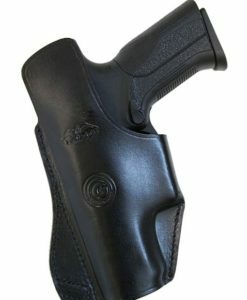 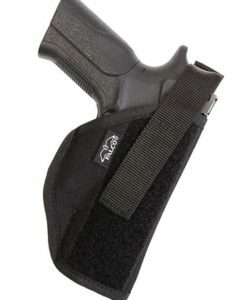 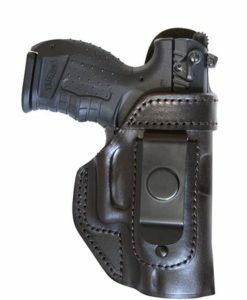 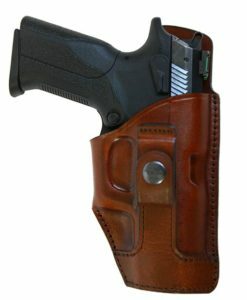 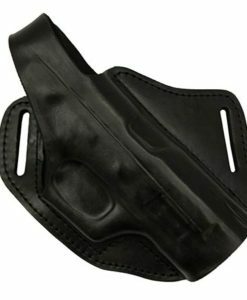 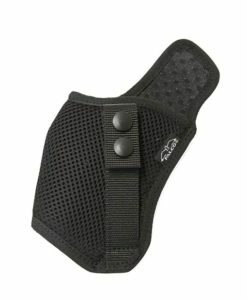 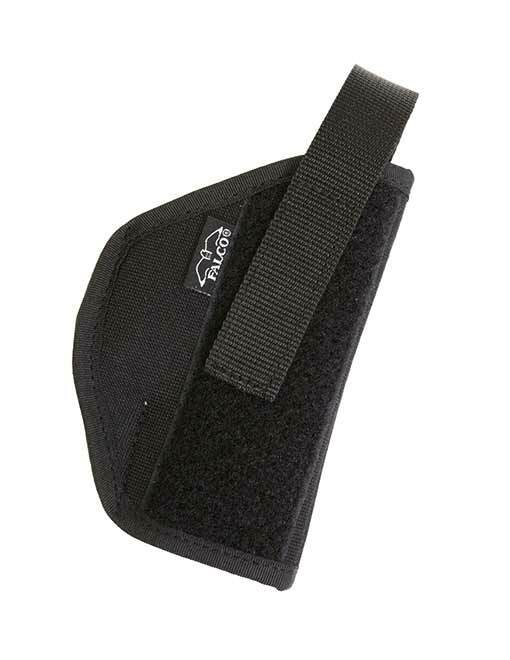 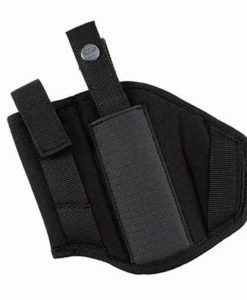 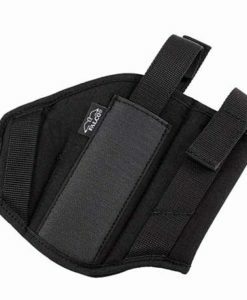 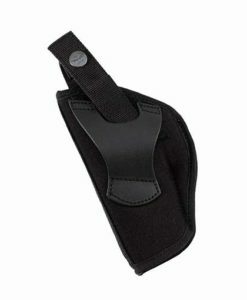 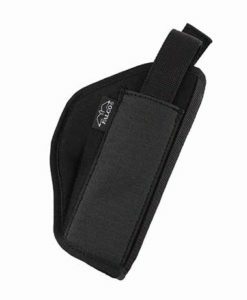 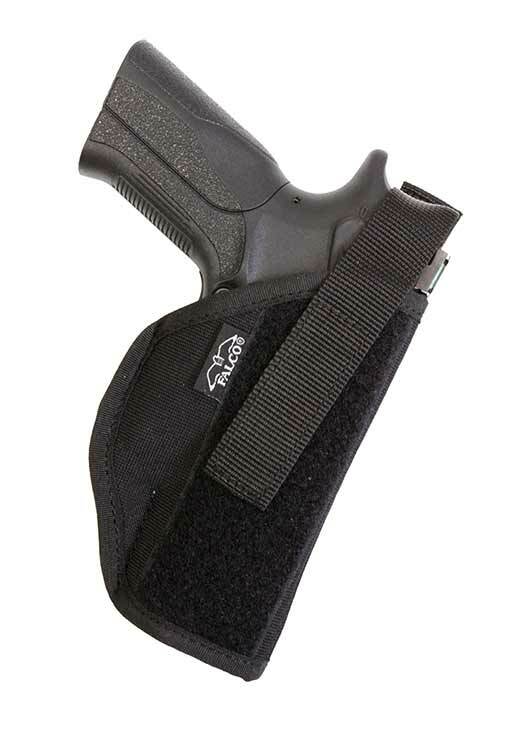 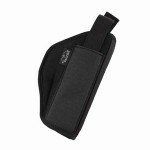 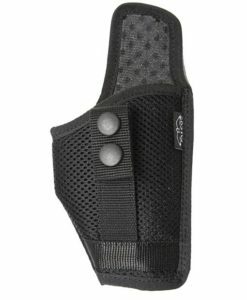 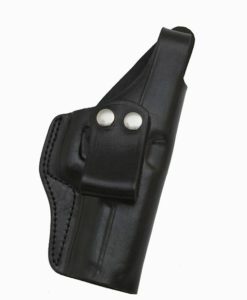 This holster is manufactured of soft nylon. 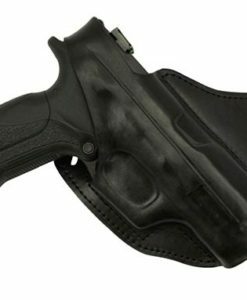 Gun is secured by adjustable, quick-detachable thumb break. 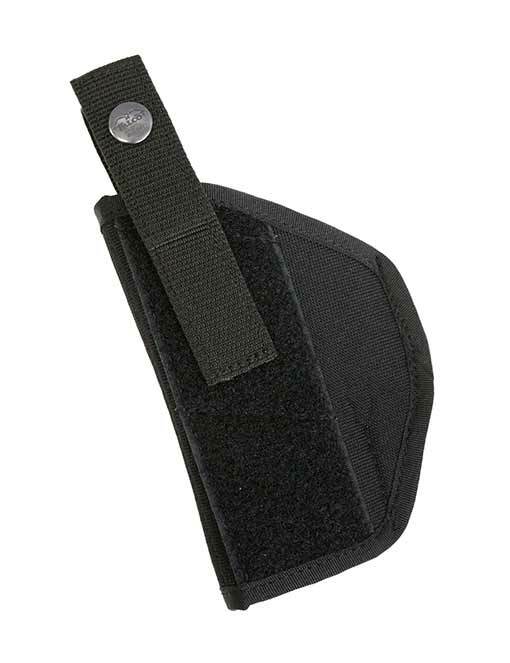 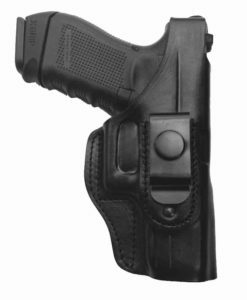 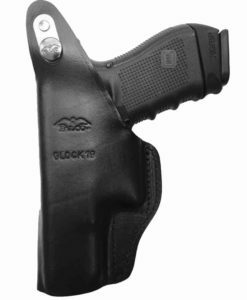 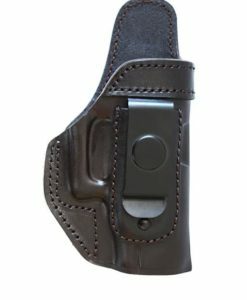 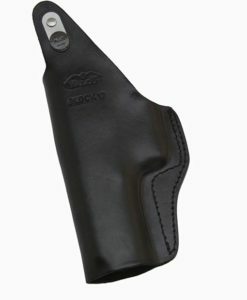 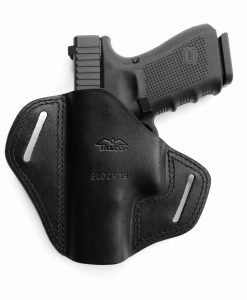 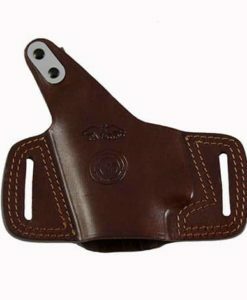 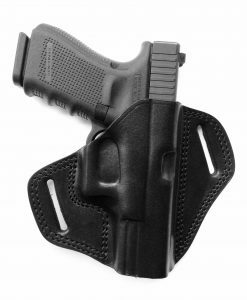 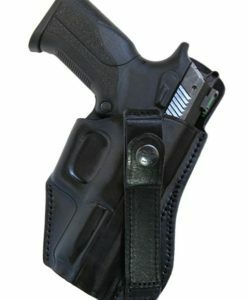 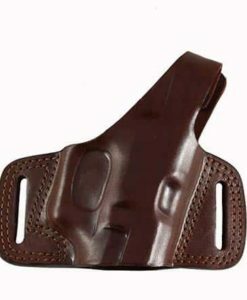 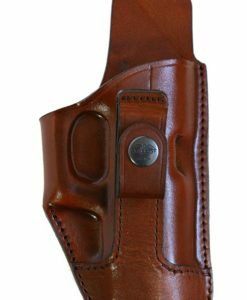 The holster has a single belt loop, has simple design and great value.